Twenty years after their international debut, French multi-platinum selling band Air will release their first anthology album ‘Twentyears’ on 10 June. 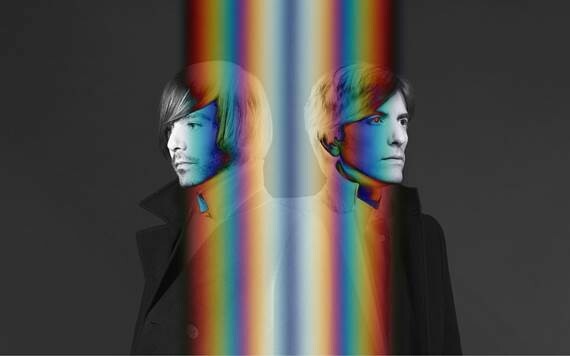 Air - Nicolas Godin and Jean-Benoît Dunckel – have personally selected the core ‘Best Of’ tracklisting which features on all of the album’s various formats. The album will initially be available on double CD, double LP and digital formats and a limited and numbered Super Deluxe Edition will follow on 22 July. It compiles the original format’s double CD and double LP with a third CD which features Air’s remixes for artists including David Bowie, Beck, Depeche Mode and Neneh Cherry, as well as an exclusive collector’s poster. Air will start a new worldwide tour on 20 May. It features UK festival dates at Field Day (12 June), Blue Dot (23 July)and Secret Garden Party (24 July). Greetings! Very helpful advice within this post! It's the little changes that produce the most important changes. Thanks a lot for sharing!